You won’t catch the people of the Witch City, aka Salem, Massachusetts, resting on their laurels. It’s a wildly popular city steeped in rich Puritan and American history, and for obvious reasons, October is its biggest month. There are more than 500 individual events this month to celebrate Halloween -- everything from children's parades and costume parties to séances and haunted trolley tours. 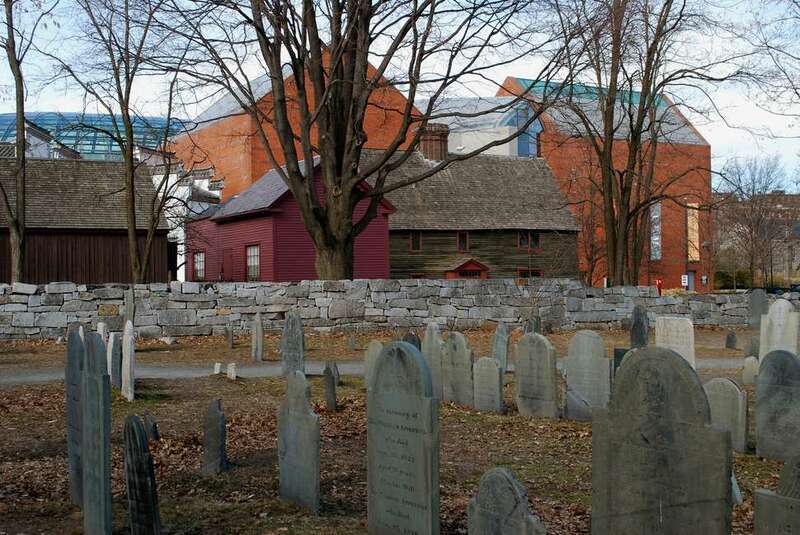 The city aims to educate visitors about its mysterious past, especially when it comes to its infamous Salem Witch Trials, when, from February 1692 to May 1693, 14 women and five men were sent to the gallows on suspicion of witchcraft. 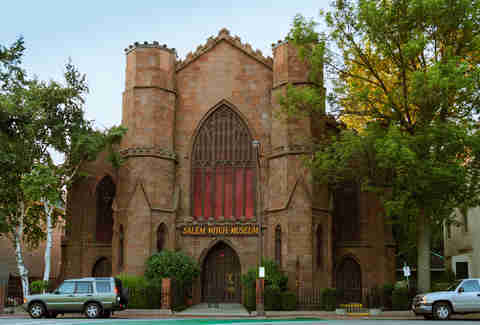 Here are the best and spookiest things to do in Salem. 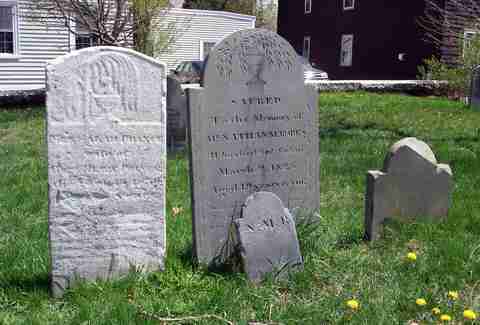 Howard Street Cemetery, at 29 Howard Street, is one of three primary burial grounds associated with the Salem witch trials. The site is where farmer Giles Corey was pressed to death with planks and heavy stones -- allegedly because he refused to plead guilty or not guilty. Since opening in 1801, the cemetery itself has been filled with more than 300 gravestones, many of which you can still read despite the passing of time. Salem Willows is a public, seaside park that’s been around for decades (it was established in 1858). Get some of its ubiquitous popcorn, stroll the paths, visit the arcades, or go on an amusement ride. Jazz greats like Duke Ellington, Count Basie, and Louis Armstrong performed at what was the old Charleshurst Ballroom. The park’s carousel may trigger hazy, happy memories of your childhood, and Pickering Wharf is another seaside locale where you can browse shops, stop for a bite, or just watch boats roll by. Cost: The park is free, but bring quarters for the arcade. Follow the red line on the Salem Heritage Trail, a free walking tour, to learn about many of Salem’s primary historical sites. You can walk the self-guided tour alone along a red-painted line on the sidewalk or go with a group. It starts at 2 New Liberty Street, the National Park Service Salem Regional Visitor Center, where you can watch a free film and then embark on your journey. From there you'll pass several sites like the Witch History Museum; the Old Burying Point Cemetery, which contains a Mayflower resident; and a statue of Samantha Stephens from the TV sitcom Bewitched. 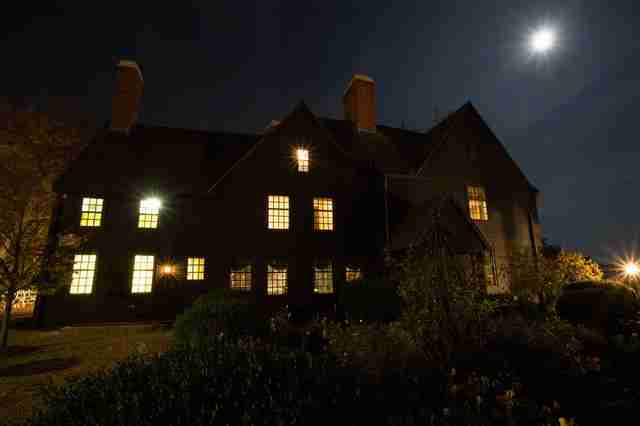 Visit the House of the Seven Gables, which lended its name of Nathaniel Hawthorne’s Gothic novel about a New England family and their run-ins with the supernatural. The book famously influenced horror-fiction writer H.P. Lovecraft, as well. Billed as “350 years of stories,” the house, built in 1668, was owned by several prominent maritime families and received elegant additions and architectural updates that can still be seen today. Guided tours and interactive exhibits abound. The Peabody Essex Museum houses an impressive collection of Asian art renowned in the US. Visit its 22 buildings and two massive libraries to view its roughly 1.3 million pieces (but don’t try to see it all at once). Manuscripts, maps, and plenty of artifacts catalog Salem’s centuries of proud maritime history. The exhibit Empresses of China’s Forbidden City, at PEM through February 10, 2019, includes priceless imperial antiquities from the Palace Museum in Beijing. 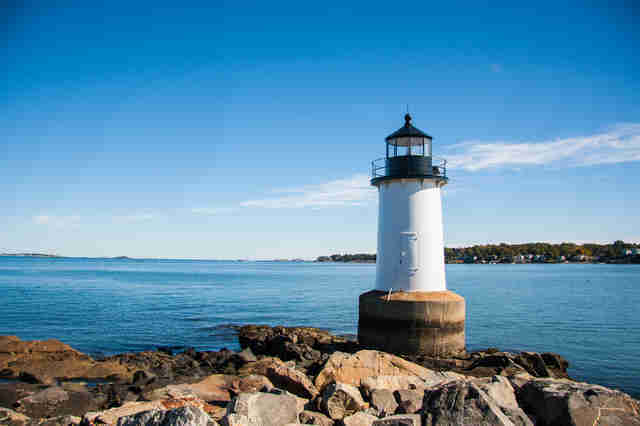 Visit one of Salem’s many lighthouses, which have helped prevent hundreds of ships from slamming into the rocky coast since the 17th century. While some can only be viewed from outside and are best seen from boats off the coast, all of them are picturesque and emblematic of New England’s shipping heritage. When visiting in-season, try booking a boat tour to one of them. Cost: Prices vary. Contact individual tours; some are closed in the winter. Boat tours and contact info listed at www.nelights.com. 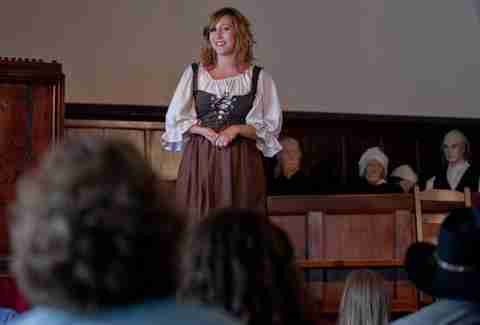 Visiting Salem just wouldn’t be complete without learning the ropes. 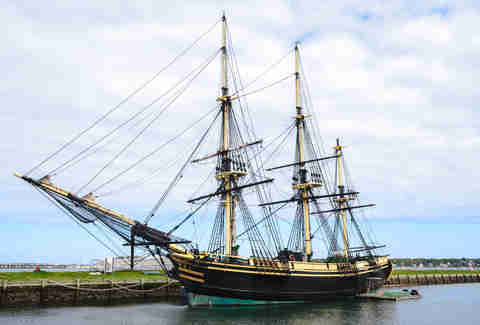 Visit the Friendship of Salem, a replica of a sailing ship that was launched in 1797. (The Friendship won’t return to Derby Wharf until spring 2019.) Nearby, the Salem Maritime National Historic Site, a national park site, includes trails, wharfs, and exhibits open seven days a week barring major holidays, while the site’s historic buildings and programs are open seasonally. Cost: Ranger-led tours are free. The site is open 7 days/week. Guides with the Bewitched After Dark Walking Tours of Salem, which occur at night (obvs), will tell you all about the witch trials, the city’s rich colonial history, and intone creepy stories about impish ghosts, if that’s your thing. Another prominent tour is the Haunted Footsteps Walking Tour, which lights the way with lanterns. Cost: Bewitched tour: $20; Haunted Footsteps tour: Prices range from $9 to $14. 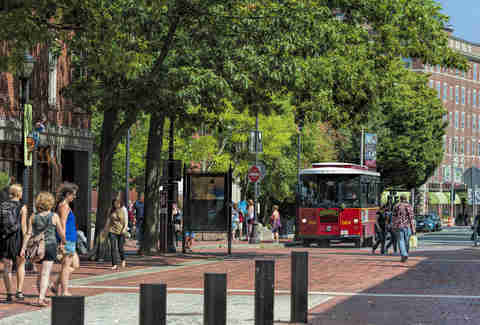 If time is of the essence, you can skip the walk and hop aboard the Salem Trolley Tour, a one-hour guided ride past 13 Salem landmarks like the Salem Witch Museum, Charter Street Burial Ground, House of the Seven Gables, and more. You can get on or off the trolley as you like, since it doubles as an all-day shuttle service. 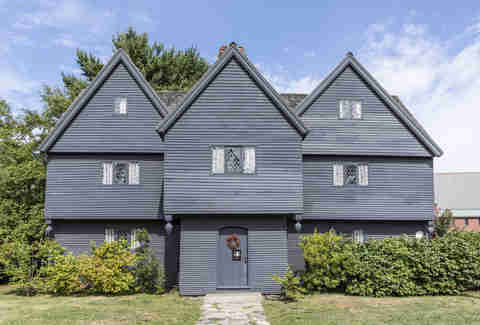 The Witch House, also known as the Jonathan Corwin House, is the only remaining structure in Salem with direct ties to the Salem Witch Trials of 1692. Judge Jonathan Corwin was among those investigating claims of witchcraft in the 17th century, and partly thanks to his efforts, 20 people were convicted in the special court and executed. It’s a fascinating, yet sad period in Colonial American history, when mass panic gripped the region. Corwin fathered eight children, most of whom died young -- a fact that would play a role in the prosecution of the trials, according to the History of Massachusetts blog. As the blog post on Corwin also points out: He never apologized for his role in the trials. Cost: Prices for guided and self-guided tours vary, but none are more than $10.25. Many accused of being witches during the 1692 trials were long thought to have been hanged and buried at Gallows Hill. 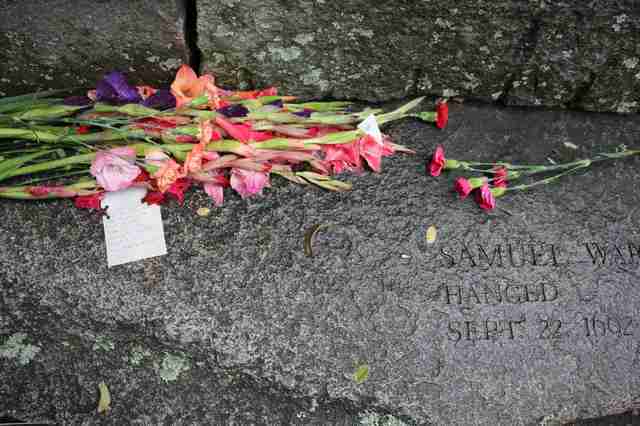 But its exact spot was unknown until January 2016, when the Gallows Hill Project confirmed that hangings actually occurred at Proctor’s Ledge. Visitors can’t park at Proctor’s Ledge, but can pay their respects for the dead at the Salem Witch Trials Memorial downtown. At the Gallows Hill museum during October, visitors can watch live theatre, encounter a “ghosts and legends” trolley, or hear old tales while sampling local ales. Cost: Prices vary by attraction at Gallows Hill, but cost between $13 and $23 for adults, and $9 and $19 for kids. New this year is “Imprisoned! 1692”, when visitors can tour The Old Witch Gaol (jail), where those accused of witchcraft were held during the trials. It was built in 1684 on a road formerly called Prison Lane. It’s guaranteed to be dark and dreary, so bringing kids younger than 5 is not recommended. Spiritualism during Victorian times was like when the modern Ouija board came out -- it was big. Spiritualists believed they could summon people from the dead and communicate with them. But the movement lost traction when it was found that fake mediums were taking people for a ride. At least local magician, Evan Northrup, is transparent about the whole thing. He’ll recreate a Victorian-style séance for believers and non-believers alike during “The Spirits Speak: Magic, Mediums, and Mentalism.” The event runs October 5-27 at the Salem Regional Visitor Center, 2 New Liberty Street, Salem. Cost: Tickets range from $10 to $20. Devils are creepy, but they’ve got nothing on clowns. Now you can dress up like Ronald McDonald and run screaming through the streets of Salem during the Creepy Clown 3.33 Miler. It's a shorter alternative to the city’s traditional Devils Chase 6.66 mile run (a distance chosen for obvious reasons), but are run together, and costume awards are also given out. Dressing up as Satan or that guy from It are not required, but why else would you do this run? Cost: Devils Chase and The Creepy Clown are both October 27. Registration is $35 and $20, respectively.